To condemn the Woolwich incident, spine-chilling and disgusting as it may be_ is pointless. Not because it may by any stretch of imagination be justified, but because the haste and anxiety with which this is so promptly done both by spokespeople of Western nations and by Muslim leaders denotes the uncritical acceptance of the predominant narrative on terrorism on the terms of the powerbrokers and the media that tell us who to condemn, how and how much. It is also inadequate to only condemn these instances when they occur while failing to understand and take on the deeper dynamics that set them off. For, terrorism and the usage of the term are far more nuanced than these facile proclamations make us believe. While Tarek Fatah has rightly pointed out this inadequacy in his article ‘UK Beheading Shows It’s Time to Fight the Doctrine of Jihad’, and reminded Muslims of the need to take on such criminal elements within their ranks, the rest of the article teeters on presumptions that are ignorant at best and dangerous a worst: ignorant because of a complete inability to understand the ground realities of contemporary international politics and dangerous for the ideologization of terrorism that lends credence to the idea that Islam is inherently violent and Muslims inherently predisposed towards violence. The writer makes the same error many neoconservatives calling for a ‘War on Terror’ made, with disastrous consequences: accepting the motives and objectives of terrorism as interpreted and explained by American rhetoric. He tells us that such elements wish to ‘sow fear into the soul of British people’ and are ideologically motivated ‘by one powerful belief of the doctrine of Jihad against the kuffar…’ Readers are asked to make some leaps of faith here as this denies any possibility that such dastardly acts may be a crazed protest out of desperation and frustration, driven by vengeance over what is seen to be unfair and brutal, such as unfair occupations, drone strikes and brutal torture in illegal detention camps. By ideologizing the motives, attention is deflected away from the policies that provoke extreme and desperate reaction. Moral culpability is ruled out and the inaccurate and dangerous idea that the problem is with the ideology believed in by these people is given credence. Hence an image is conjured up of a clash between Islam and the West: a false and pernicious idea that makes the world madly careen towards a clash of civilizations. The fallacy of the premise of this ideologization of terrorism and whose interests it serves, need to be exposed. Terrorism, in fact, is a tactic used by disaffected individuals and communities, not an ideology. It is not inspired by a hatred of all that the West stands for, but is a reaction to policy and actions of Western nations. Michael Scheuer states: “There is no record of a Muslim urging to wage jihad to destroy democracy or credit unions, or universities. What the US does in formulating and implementing policies affecting the Muslim world is infinitely more inflammatory.” The smokescreen of rhetoric, however, keeps a dispassionate analysis of the real grievances that fire such acts at bay. Fatah goes on to state that Muslim terrorists have been ‘emboldened’ by the West’s ‘passivity’ towards terrorism, implying that Western nations are victims too infirm to take on the horrifying, audacious enemy consolidating its ranks in the wings. There clearly is in this a criminal oversight of the glaring and undeniable reality that wars, occupations, kidnappings, tortures, detentions have been carried out by Western nations on the pretext of pre-empting and countering terrorism; that Guantanamo still detains thousands without charge, that only 2% out of the many thousands killed in drone operations against terrorists have any suspicion against them. While what happened at Woolwich was grotesquely inhuman, refusing to acknowledge similar grotesque wrongs at the hands of powerful occupying armies in other parts of the world is diabolical. While Woolwich is unjustifiable, one cannot lose sight of the connection between the actions of armies abroad and the psychology of vengeance. In all honesty, one may also be reminded of the fact that barely weeks ago an unarmed seventy-five year old was similarly hacked and butchered to death in Birmingham while on his way home. The reason no one heard of it was because the victim being a Muslim on his way back from the local mosque made the story not newsworthy enough. Islamist terror is the in-thing- other acts of violence and terrorism are relegated to individual criminality or insanity. The writer reminds us that the tactics used by the Woolwich attackers were ‘straight from medieval times’, recklessly making a direct link with Islamic doctrine and tradition. Anyone with a basic understanding of terrorism would know that desperate tactics like this one are used when the might of perceived enemies is too great and invincible, defying conventional tactics. Reading more than that into it and connecting it to medieval Islamic doctrine is grossly irresponsible for the devastating social and inter-subjective consequences in an atmosphere of great prejudice and hostility against Muslims and Islam. The UK Muslim community is already targeted for hate-speech by white supremacist groups like the English Defence League, and Mr. Fatah’s proclamations serve to keep this atmosphere of hate and suspicion charged. It is vital and urgent that Muslims take responsibility for such elements and tendencies within their community and the writer did well to highlight this, but to interject ‘Islam is the enemy!’ when the religion and its practitioners already stand much stereotyped and pigeonholed, misunderstood, mistrusted and maligned is highly irresponsible and reckless. However, such reform has to come from within the Muslim community from authentic representatives and spokespeople of Islamic tradition. The gusto for ‘fixing Islam’ from the West is misplaced, insincere, uninsightful and comes loaded with malafide agendas and political interests. 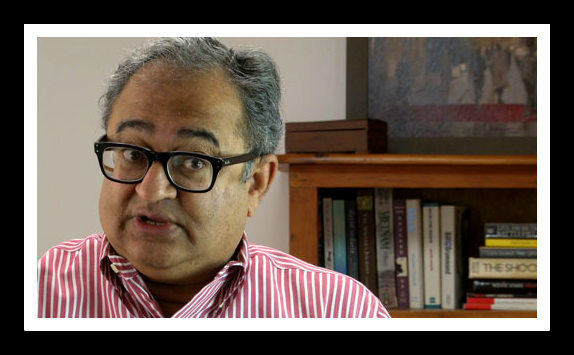 Tarek Fatah’s exhortation to Western leaders to take on the Jihadic ideology and defeat it, is a fatal nonsense. Having said that, Fatah’s disappointment with liberal Muslims rubbing in the fact that ‘Islam is Peace’ and keeping mum about the doctrine of physical Jihad as part of Islam, is valid- but for different reasons. Liberal Muslims desperately try to deny and eclipse this aspect of Islam and in so doing, implicitly accept the ignorant allegation that physical Jihad is a violent doctrine. Mr. Tarek Fatah too shares this inability to understand and appreciate the concept of Jihad with its contemporary ramifications in a holistic and insightful manner. This explains his enthusiastic call for rejecting Jihad altogether, and his great disappointment that Islamic scholars are not too excited about jettisoning the murderous idea once and for all. The Quran and the example of the Sunnah clearly and categorically lay down the conditions when Jihad should be resorted to. Simply, all is not fair in war, and rulings for protecting non combatants and those not directly engaged in confrontation are explicit. Besides, its objectives are clearly laid down: it is neither for territorial aggrandizement nor national power nor spreading the faith, but for resisting oppression and injustice and helping in the establishment of a just and peaceful social order. Fatah makes an ignorant and misleading connection between the senseless butchery at Woolwich and the concept of Jihad: the same criminal mistake that the perpetrators themselves made. Mr. Fatah makes a pathetic attempt to validate his claim that Jihad is a savage expansionist ideology by quoting an inaccurate and false definition of Jihad from ‘A Shorter Encyclopedia of Islam’ which makes the unforgivable error or defining Jihad as ‘the spread of Islam by arms’, a claim unsubstantiated by any Islamic text or source of authority. The need of the hour, contrary to Mr. Fatah’s prescription, is to rediscover and elucidate the concept of Jihad in contemporary context and expose its distortion, misperception and abuse by those hostile to Jihad as well as those claiming to wage it. The silence on this from Muslim scholars leaves the misconceptions and confusions to proliferate and hence provide justification to fringe extremist and criminal elements like those who carried out the brutal display at Woolwich in the name of Jihad. This said, Mr. Fatah needs to be reminded that resistance to wrong and defence of the weak and marginalized against oppression and injustice is a basic virtue attested to by all spiritual and moral doctrines, hence the Jihadic philosophy is not an invention of Islam even though it may be a culmination of this universal idea. Stripping Islam off this beautiful crowning glory is a preposterous and revolting idea he can never find any support for. Both Mr Fatah and his ilk as well as sheepish Liberal Muslims need to be reminded of the fact that Islam extols and idealizes peace but also accepts the idea that when the rhetoric and pretense of peace hides the demons of injustice, it must be exposed and rejected and resisted. What is important to realize, however, is that in the absence of this understanding of Jihad and the spineless, fragmented state of the Muslim world, resistance to the great wrongs by Western nations at present is febrile, maniacal and as vicious as the actions of the powerful perpetrators. Yeats lamented, ‘The best lack all conviction, while the worst are filled with passionate intensity.’ Esack writes, ‘The problem with Muslim fundamentalism is that it is as totalitarian and exclusivist as the order that it seeks to displace. It seeks to create an order wherein they are the sole spokespersons for a rather vengeful, patriarchal and chauvinistic God.’ That is a judicious and vital understanding we as Muslims must acquire in order to reclaim the Jihad for our time. Incidents like Woolwich as well as the great wrongs that engender such sickness – stemming from both Western policy as well as Muslim degeneracy- are to be rejected and actively opposed. The underlying logic of wars of powerful Western nations against “terrorism” and terrorist attacks provoking or provoked by them is the same: both punish human beings for the actions of their governments or of individuals or groups sharing religious or ethnic identity. We are left with an important question: If terrorism is the direct and intentional killing of innocent people with the purpose for achieving a greater goal they are not directly linked with, are not both terrorism? While we correctly acknowledge Woolwich as savage terrorism, why are similar instances in Afghanistan or Pakistan or Yemen or Iraq also not recognized as equally unacceptable, intensely provocative and deeply damaging? As long as contemporary politics continue to operate on the premise of ‘some are more equal that others’, such ugly outrages will keep happening at the hands of the psychologically vulnerable. The need is an all-out struggle- a progressive ‘Jihad’ (struggle) if you will- against all wrongs that fuel the vicious cycle, regardless of who the perpetrators may be. Wow Maryam, this is a wonderful blog … I’d fail to find a more beautifully worded blog regarding this issue. a) i believe this was a terrible article. I’ve known about mr tarik fatah (aka t-fat briyani) for a long time now…i had been closely following ‘progressive Muslim movement’ for a very long time (once upon a time) and I even knew at one point a professor belonging to this so-called ‘movement’. This guy tarik fatah is an out and out mulhid and zindiq and there is no such thing as liberal muslims, their interpretations directly do away with things that are known in religion either by necessity or as being qati’ which means u cant exactly be a muslim if u do tht so the epithet liberal muslims is wrong. b) the article actually gives legitimacy to fatah in a round about way by agreeing with some of his opinions and also indirectly giving credence to the idea that he is somehow Muslim. c) the article does not speak from the perspective of main stream Muslims… it either uses fatah’s points which the author finds somewhat valid to build a case and further more she quotes mr farid esack who is also another rabid progressive ‘muslim’. In short, this article doesn’t help at all in any real terms.